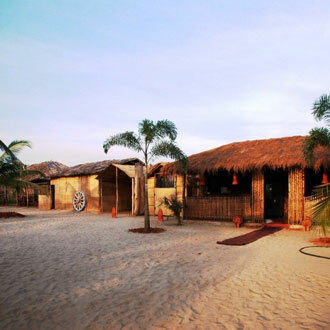 Overlooking the bay, this eco friendly resort is situated in the laps of Nature at Morjim Beach. The organic recreation complex maintains nine autonomous eco huts with everything necessary for comfortable living, including an open recreation area and a modern Spa Centre. Guests can rent a motorcycle, a car, and a jeep, and avail the assistance with foreign currency exchange and air-tickets. Bird watching, Nature walks, cycling and river cruise are some of the outdoor activities guests can indulge in.